Dr. Edward Papenfuse was Maryland State Archivist and Commissioner of Land Patents from 1975-2013. Since June 2010, he has also been the acting City Archivist for the Baltimore City Archives, becoming a catalyst for change in an archives in disrepair. 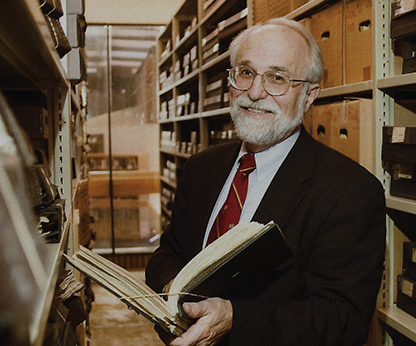 He played a major role in the design of the present Archives building which was completed in 1986 and bears his name, initiated the creation of the Maryland State Archives web site, writes extensively on Maryland history, and teaches history at the University of Maryland College Park, the University of Maryland Law School, and the Johns Hopkins University.